New program announced at 13th annual event. In spite of the unseasonably cold April evening this year’s Opera Saratoga Pasta and Puccini fell upon, Mediterranean food and some well chosen arias made the inside of Saratoga Golf Club feel warm and cozy indeed. 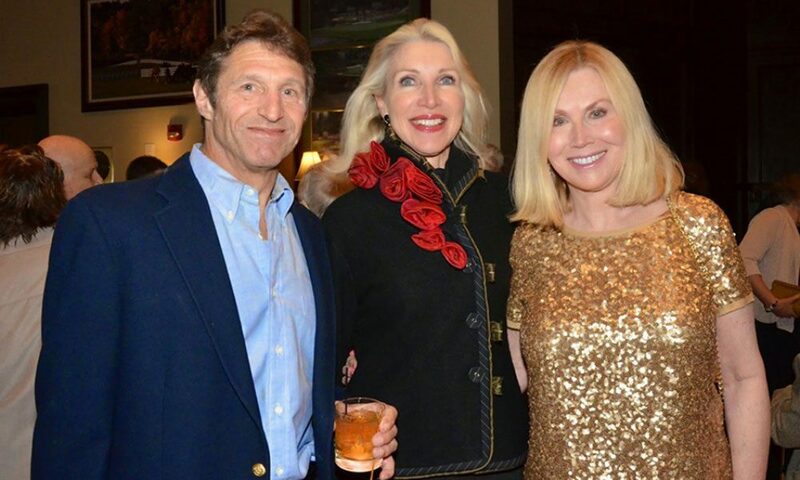 This is the thirteenth year for the event, which Friends of Opera Saratoga president Ellen Riley says has become a more casual affair each year. And according to Larry Edelson, the company’s new artistic director, opera being casual and accessible is true to the roots of this art form. Why should Saratogians get excited about opera this year? Edelson gave a few reasons. “We’ve added a third program this year; we’re giving 9 community conferences, half of them free; and our offerings have never been more diverse.” Edelson referred to mixing it up with the comic La Cenerentola (Cinderella,) the stately and elegiac Dido and Aeneas, and the world-premiere of a topical meditation a soldier’s homecoming, The Long Walk. This year’s line up also boasts world-class guest talent, including choreographer Karole Armitage who has created work for Dido with her ArmitageGone! Dance Company. Also not to be missed is the May 29th gala and auction at Canfield Casino, Cinderella’s Ball. Two hundred twenty opera lovers savored appetizers while bidding on such silent auction theme baskets as All things Saratoga, in which such locally produced fare as chips, chardonnay, sundae sauce and lager nestled together. Guests then sat down to an Italian menu starting with melt-worthy butternut squash ravioli with sage cream, and winding down with lemon berry tiramisu. After dinner, a satiated audience enjoyed a taste of this summer’s offerings. Christine Suits’ character flirted as she strolled among tables, singing a piece from La Boheme. Dominic Corbacio’s electric tenor take on Federico’s Lament killed listeners softly. And a lagniappe from baritone Jesús Murillo, the faux-envious I’m Glad I’m Not A Tenor, aroused laughter while simultaneously convincing those present of just the opposite. With such nourishing food and song, guests were braced for the chilly night air.